Try the whole process from the beginning, including buying/receiving tickets and scanning them with our App. With this short demo you can experience how it is to work with the TicketX platform both as an organizer and as a visitor. If you have any questions just contact us! The first step is to register as event organizer on TicketX, we just need your name and email. You can then access your personal Dashboard where you can manage all your events. 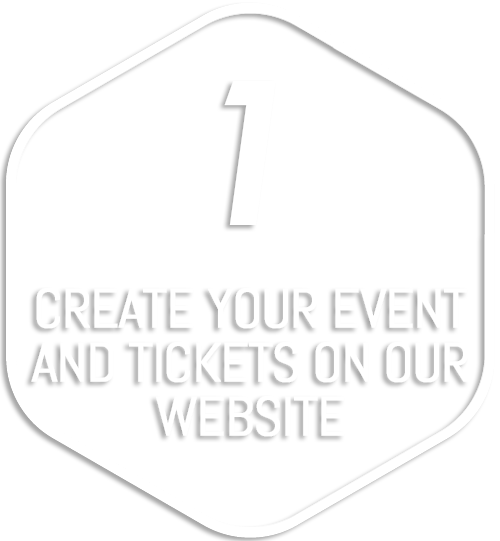 You will notice that we have already created an event for you the first time you log in, go on “Settings” and follow all the steps from number 1 to set up the details of the event and the tickets. You can insert your bank account details for the payments on “Account -> Payout details”. If you want to know more check out the support page or contact us. From the Dashboard homepage, you can see at a glance all the stats about your event like the geographical distribution of your sales, the gender or age graphs of your customers, the sales channels and the graphs of any other info you requested to your visitors. In particular, you can see the ticket sales by day/hour/minute and you can load data from previous events to compare them, from “Guests -> Orders”. From there you can also look for a specific order/buyer and resend the tickets, for example. Check more options under “Tools”. Once you created the event and the tickets, you can share the ticketshop in your promotion using the link in “Settings -> Example ticketshop”, in the Dashboard. We advise to also integrate the ticketshop directly on your website and Facebook page following the instructions on “Settings -> Integrate ticketshop”. To optimize your promotion budget you can keep track of how many tickets each of your campaign is directly selling, or how many other revenues it generates, using the links in “Tools -> Social media Trackers”. You are now all set to sell tickets online. You can experience it from the point of view of the visitors by ordering tickets from our Demo Event. You can try in particular to order a ticket with seat selection or a 1€ ticket to go through the payment procedure. You will get the tickets on your email exactly as it would happen with a real event. 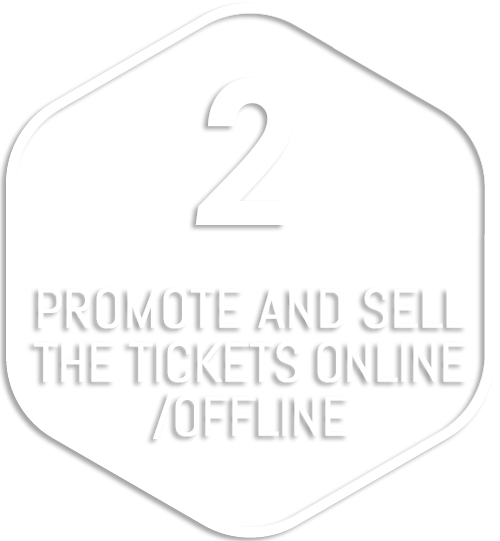 You can also sell tickets offline, for example setting up a point of sale in cash in the city center, using the module at “Sell tickets offline” in the Dashboard. You can use it also to sell tickets at the entrance. Then, you just need to log in with the Event ID and Password (“Tools -> Scanners” in the Dashboard) and you can start scanning with any number of phones at the same time. Find out why a smartphone is better than a laser scanner here. You are now ready to scan tickets at the entrance. 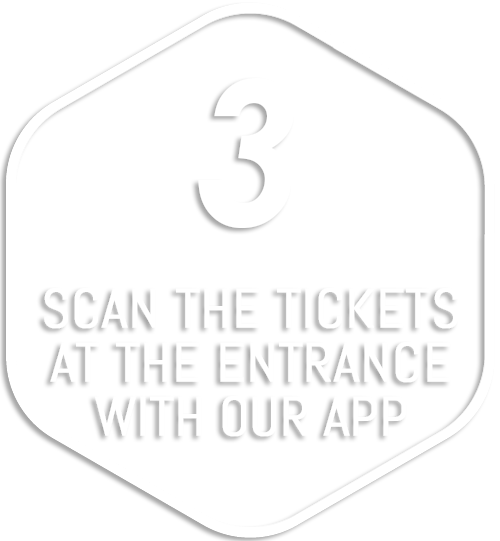 Each ticket/QR code can be scanned only once, the App will notify you otherwise. There are more options on the App, for example you can manually enter the QR code number or search for the visitor by name. Check also “Tools -> Scan history” and “Guests -> Check-in list” in the Dashboard, for reports about the tickets scanning and check-in situation in real time. You can try to scan the tickets that you ordered from the Demo Event using Event ID: 20297 and Password: kcePP6 on the App.